With tax season just around the corner, it’s a good time for a quick refresher on separating your personal expenses from your business expenses. Whether you’re a seasoned business owner or are just starting out, these are common rules which can save you a lot of stress around tax time. 1. Apply for an Employer Identification Number (EIN) at IRS.gov. 2. Register a legal business name. 5. By using only your business accounts to pay for business expenses, you only need to track receipts for those accounts. It is much easier to manage and trace expenses to receipts, and not overlook an expense or receipt when there is a dedicated business bank account(s). 6. Have a good process and filing system for storing receipts for all those business expenses. 1. Use your personal social security number to run your business. Protect your identity! 2. Fall for scams on websites that charge you to get an Employer Identification Number. EINs are free at IRS.gov. 3. Commingle personal and business assets. DO NOT commingle the money. 4. Don’t postpone creating a business legal entity and getting business accounts just because you are just in the initial phases of the business and you aren’t making that much money yet. 5. Do not assume that your bank for personal use is the best for your small business. Often, community banks have lower fees and minimum balance than large, national banks. 6. If you are a sole proprietor (which I don’t recommend), don’t commingle that with your personal household bank accounts. It will be too hard to try to go through and find business related expenses later at tax time. Also, in the event of an audit, you open your entire bank account transactions for review and audit. 7. If you commingle your accounts, DO NOT incorrectly claim a personal expense as a business expense. If you are audited by the IRS and found to have paid fewer taxes than you owed, you will pay a penalty and interest calculated from the time that you should have paid taxes…which could be as far back as three to five years! Similarly, if you don’t have a good process and file system for receipts (i.e. shoebox of receipts) and can’t provide a receipt during an IRS audit, then you forfeit tax deduction and will pay penalties and interest fines. 8. Do not put business expenses on a personal credit card, even if you left your business credit card at home. Doing this can result in you missing out on valuable tax deductions if you forget to track and tell your CPA. Do not forget to give all your applicable business expenses to your CPA at tax time. If you forget and try to submit expenses after they’ve already completed your taxes, you spend more money for tax preparation fees…calculated anywhere from $150 – $400 per hour! 9. Do not purchase business and personal items on the same transaction. Everything should be separated and the corresponding credit card should be used. Doing that, your business receipts and records will be clean and only contain items related to business activities. 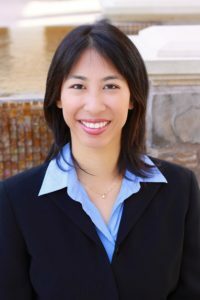 Sylvia Inks is financial coach and speaker, specializing in helping small business owners save time, money, and reduce stress in running their businesses. Sylvia leverages her ten years of experience working with one of the world’s largest consulting firms and helping Fortune 500 organizations in financial services, insurance, healthcare, and technology, to now helpingentrepreneurs improve processes, performance, and profitability. Her clients say she’s energetic, compassionate, and is jargon-free for the finance-a- phobes. Her clients appreciate the hope and clear direction that she provides in coaching. For more information, visit www.SMIFinancialCoaching.com and www.SmallBusinessFinanceBook.com. 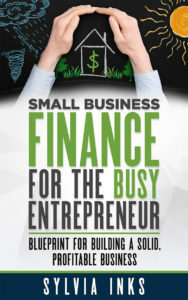 Sylvia Inks’ new book, Small Business Finance for the Busy Entrepreneur, is a practical, step-by-step guide that shares the key components that have the biggest impact on creating and maintaining a solid, profitable business. It includes lessons learned that many seasoned business owners wish that someone had told them sooner, saving them from learning the hard and expensive way.